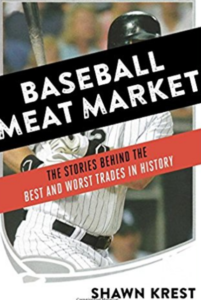 Sports Talk with Don Henderson and Doug Miles guest Shawn Krest author “Baseball Meat Market” about some of the best and worst trades ever made in baseball. Previous PostBig Band Files with Doug Miles airing WRMI radio. (recorded 3/16/17)Next PostJazz Club of Sarasota Presents Free “Joy of Jazz” Outdoor Concert in Venice, Sunday, March 26, from 2-4 p.m.